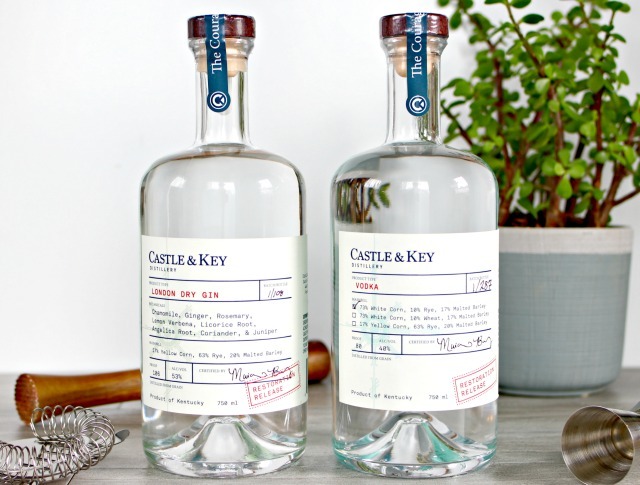 Move over gin and tonic, there’s a new gin drink in town! 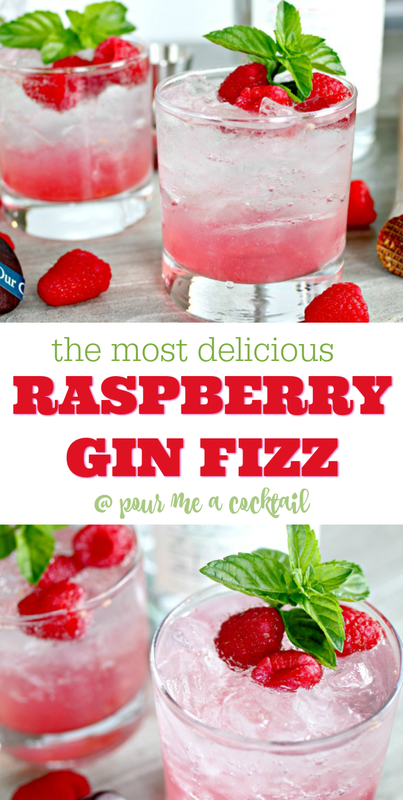 This Raspberry Gin Fizz Cocktail is full of fresh flavors and is simply delicious and refreshing. What’s in a Raspberry Gin Fizz? 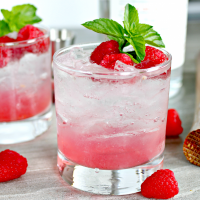 These Raspberry Gin Fizz Cocktails are so delicious and fresh that you’ll leave they leave gin and tonic in the dust! 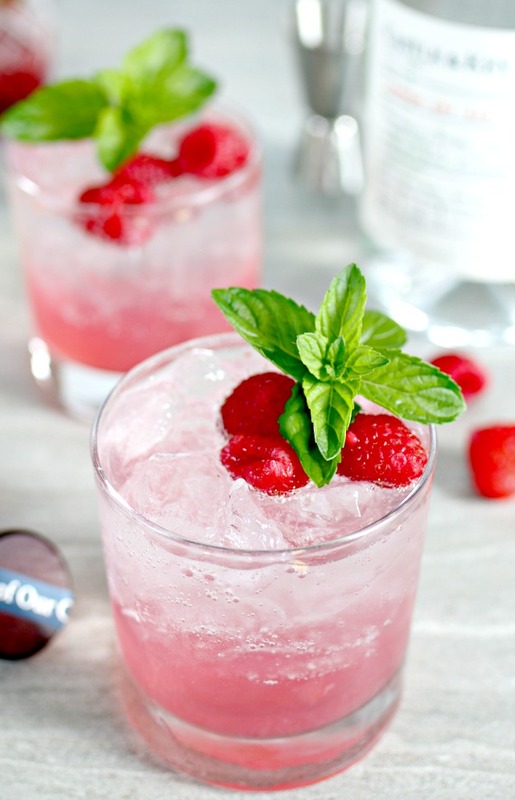 In a shaker, add raspberries, mint leaves, simple syrup and gin. Strain the muddled mixture into the glass over the ice. 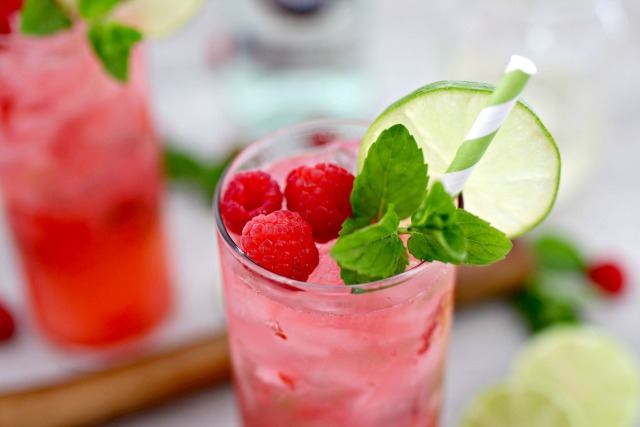 Garnish with fresh raspberries and a sprig of mint. You can easily change this recipe up by swapping the raspberries for fresh strawberries, blueberries or blackberries. 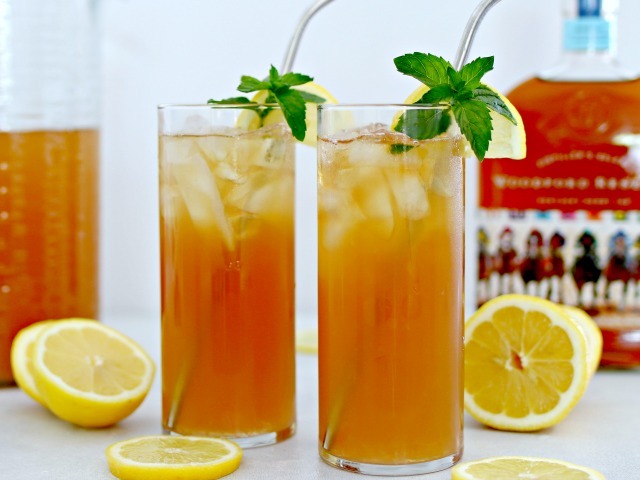 The Bourbon Arnold Palmer is a delicious Southern drink with a twist! We’ve taken the Arnold Palmer (a mix of sweet tea and lemonade) to the next level with the addition of bourbon…oh yeah! 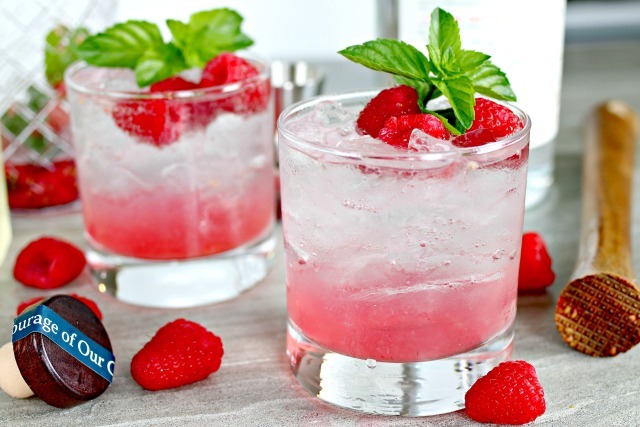 If you love raspberries, then check out these Raspberry Mojitos! They are super refreshing and are a big favorite in our home! 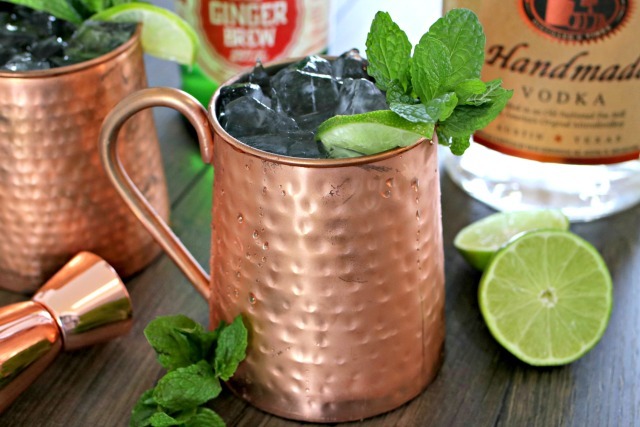 Another delicious cocktail that I completely fan girl over is the Classic Moscow Mule…it’s so easy to make and perfect all year round!